You can ask many different experts, and neuroplasticity will be explained in many different ways. The purpose of this website is not to get into technical jargon that overwhelms the stroke patient but rather to educate persons about stroke rehabilitation in simple laymen terms. In stroke recovery, neuroplasticity basically refers to the ability of the brain to rewire or reorganize itself after injury. Various studies over the past decade have shown that the adult brain can "rewire" itself when damaged. Studies have also shown that the adult brain can create new neurons, a phenomenon called neurogenesis. These new neurons require support from neighboring cells, blood supply, and connection with other neurons to survive. Certain requirements must be met during rehabilitation for neurogenesis and plasticity to actually change the brain. Rehabilitation involving neuroplasticity principles requires repetition of task and task specific practice to be effective. What this means for the stroke patient is that going to see your therapist for a one hour visit (or even a 3 hour visit) is not enough to lead to neuroplastic changes in the brain. 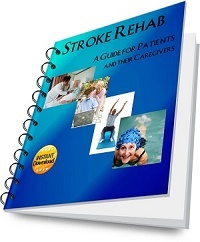 Patients need to think of physical, occupational, and speech therapy as an adjunct to stroke recovery. It's up to the patient to make the most of recovery by continuously using the injured parts of the body and mind outside of therapy sessions in everyday life. A good comparison would be how one learns multiplication. A teacher doesn't just show a multiplication table a couple of times to her students for the concept to be mastered. Instead, students have to practice over and over to learn and master multiplication. A child doesn't learn how to walk overnight. It requires much practice. A baseball player doesn't become elite just by playing a few games of baseball. You must take control of your stroke recovery process and be willing to invest a lot of time and energy if you want to see change especially with moderate to severe stroke. 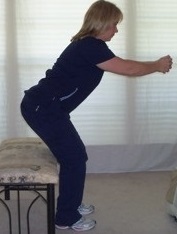 It's also important to keep using a skill once you have mastered it - use it or lose it as you often hear in rehab. Please note that plasticity doesn't mean that one can practice every task over and over and accomplish them all. Stroke is much more complicated than that. Different parts of the brain control different body functions and the brain adapts better to some areas of damage more than others. Scientists have identified certain areas of the brain that yield neurogenesis but have not identified it in all areas of the brain. If you want to learn more about your specific stroke, ask your neurologist specifically what areas of your brain were affected. The neurologist will also be able to tell you what problems you can expect because of that damage (e.g. speech deficits, vision deficits, dizziness, difficulties with balance, etc.) You can further improve your rehabilitation by specifically targeting the weaknesses caused by your stroke. In my opinion, neuroplasticity doesn't necessarily change exercise and therapeutic activities done in stroke rehabilitation but rather emphasizes that more repetition and task specific practice is needed. Probably the most commonly used therapy that is based on neuroplasticity is constraint induced therapy. Constraint induced therapy involves limiting the movement of the non-affected or stronger arm and instead using the affected or weaker arm more frequently and intensely. There has been some positive research results with constraint induced therapy, however, it requires much effort and patience from the stroke patient. 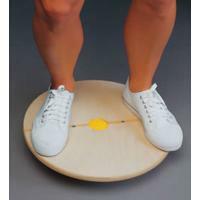 Some other treatments that may help with brain reorganization include interactive metronome, brain retraining software and websites, mirror box therapy, and robotic and gait devices that assist with movement repetition. Research is still needed in the area of brain plasticity and stroke rehabilitation. Scientists have demonstrated that brain reorganization can occur, but only limited rehab treatments have been developed that address neuroplasticity. The stroke patient, however, armed with the knowledge that brain rewiring occurs with repetition, can improve their rehabilitation outcomes by application of this concept in their daily lives. Remember, therapy is an adjunct to recovery. You cannot go to therapy sessions and expect positive outcomes without applying what you have learned on a consistent daily basis.